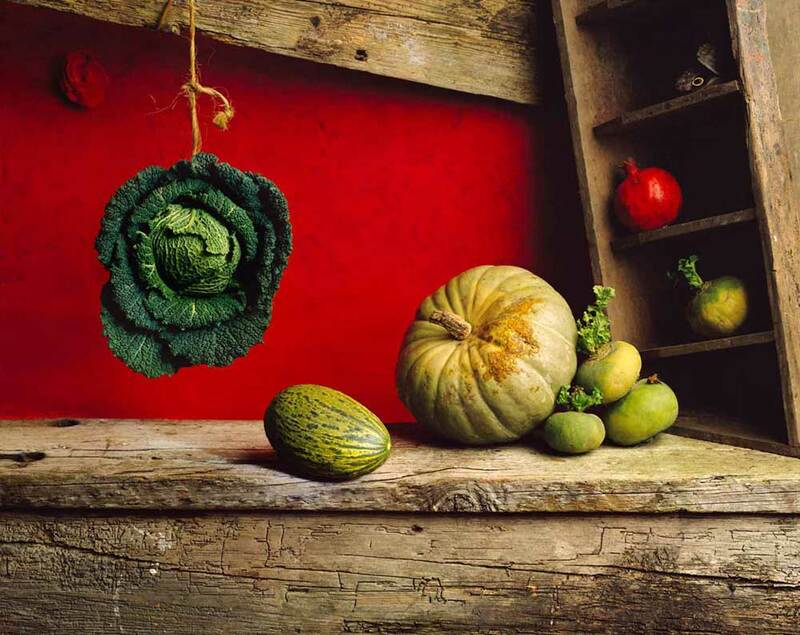 The Hanging Cabbage - still life photograph, a homage to 17th century Spanish still-life painter Juan Sánchez Cotán. Set constructed and painted in studio and photographed on 8" x 10" film. The composition is based on a parabola curve.I used Light Painting on this image and worked in darkness with shutter open.